While Prime Minister Netanyahu points to the threat of Iran’s non-existant nuclear weapons program, amply documented Israel has developed an advanced nuclear arsenal, in defiance of international law. The following documents released by the National Security were first published by Global Research in July 2013. (M.Ch, GR Editor). For more documents on the Israeli nuclear weapons program, see “Israel and the Bomb,” documents edited by Avner Cohen. During 1963-64, the Israeli government secretly acquired 80-100 tons of Argentine uranium oxide (“yellowcake”) for its nuclear weapons program, according to U.S. and British archival documents published today for the first time jointly by the National Security Archive, the Nuclear Proliferation International History Project, and the James Martin Center for Nonproliferation Studies at the Monterey institute of International Studies (MIIS). The U.S. government learned about the facts of the sale through Canadian intelligence and found out even more from its Embassy in Argentina. In response to U.S. diplomatic queries about the sale, the government of Israel was evasive in its replies and gave no answers to the U.S.’s questions about the transaction. These nearly unknown documents shed light on one of the most obscure aspects of Israel’s nuclear history-how secretly and vigorously Israel sought raw materials for its nuclear program and how persistently it tried to cultivate relations with certain nuclear suppliers. Yellowcake, a processed uranium ore, was critically important to Israel for fuelling its nuclear reactor at Dimona and thereby for producing plutonium for weapons. The story of the Argentine yellowcake sale to Israel has remained largely unknown in part because Israel has gone to great lengths to keep tight secrecy to this day about how and where it acquired raw materials for its nuclear program. When the Canadians discovered the Argentine-Israeli deal they were initially reluctant to share the intelligence with Washington because the United States had refused to provide them with information on a recent U.S. inspection visit by U.S. scientists to Dimona. U.S. and British intelligence were skeptical of the Canadian finding until September 1964 when U.S. Embassy sources in Argentina confirmed the sale to Israel. In 1964 U.S. officials tried to persuade the Argentines to apply strong safeguards to future uranium exports but had little traction for securing agreement. In 1965, while the CIA and the State Department were investigating the Argentine yellowcake sale, Washington pursued rumors that the French uranium mining company in Gabon had sought permission to sell yellowcake to Israel. 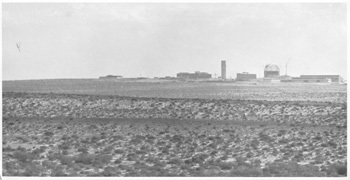 Ever since late 1960, when the CIA learned that the Israelis had been constructing, with French assistance, a major nuclear facility near Dimona in the Negev Desert, the United States and its close allies, Canada and the United Kingdom , and even its Soviet adversary, suspected that Israel had a nuclear weapons program under way. Closely monitoring Israeli nuclear activities Canadian intelligence discovered the yellocake sale sometime in the spring of 1964 and soon shared this sensitive information with the British. Convinced that the Canadian information confirmed Israel’s interest in nuclear weapons, a British diplomat calculated that the yellowcake would enable the Israelis to use their Dimona nuclear reactor to produce enough plutonium for its first nuclear weapon within 20 months. In light of these concerns, the British shared the information with the U.S. government; both governments were concerned about stability in the Middle East, which the Israeli nuclear program could threaten. Both wanted yellowcake sales safeguarded to curb the Israeli nuclear program and the spread of nuclear weapons capabilities worldwide. According to the initial Canadian information-as well as additional details later gleaned by the U.S. State Department-in late 1963 Argentina had secretly negotiated a long-term contract with Israel to provide at least 80 tons of yellowcake. While the Americans and the British were initially somewhat skeptical about the accuracy of the Canadian report, subsequent investigations demonstrated that it was correct. Trying to ensure that uranium exports were safeguarded to prevent diversion into military programs, Washington complained to the Argentines about the unsafeguarded sale, then queried the Israelis, and applied intelligence resources to find out more about the transaction. Washington found that the sale was irreversible and that it could learn nothing about its purpose, although it kept trying. The Argentines said they could only apply strong safeguards to future sales while the Israelis evaded all queries about the yellowcake, although as part of a high-level deal between President Kennedy and Prime Minister Eshkol from 1963 Israel had allowed U.S. government experts to visit their nuclear reactor at Dimona. The U.S. team apparently raised the Argentine yellowcake during a 1966 visit but the Israelis were not helpful in providing explanations. The CIA could not learn anything concrete about the transaction either. As the United States, the United Kingdom and Canada had routinely acted with the utmost discretion when sharing intelligence information about the Israeli nuclear program, they kept the entire yellowcake sale secret. On this matter there were no leaks; the issue never reached the U.S. media then or later. Israel’s interest in uranium is as old as the state itself. As early as 1949-50, Israel started with a geological survey of the Negev to determine whether and to what extent uranium could be extracted from the phosphates deposits there. Throughout the 1950s and early 1960s Israel explored the viability of the phosphates option, some pilots plants were built, but finally it was determined that it would be too costly.Â Israel, therefore, had to find uranium from overseas sources. Early on when American, British, and Canadian intelligence tried to uncover the secrets of the Israeli nuclear program, they clearly understood that Israel needed a reprocessing facility to transform its spent reactor fuel into weapons-grade plutonium. For example, according to an October 1964 National Intelligence Estimate on nuclear proliferation a “major deficiency, in terms of a weapons program, is the lack of a plutonium separation plant.” Although the Israelis had told both the US and Canada that the Dimona facility would include a pilot plant for reprocessing, the widespread assumption was that it was probably too small to produce enough plutonium for a weapons program. That the original French design for Dimona included a large underground reprocessing facility (Machon 2) was one of Israel’s deepest nuclear secrets, which Mordecai Vanunu later revealed. To this day, it is unclear exactly how much Western intelligence knew about the facility and exactly when and how it learned it. The documents in today’s publication are from the U.S. and the British National Archives. All of the U.S. documents were declassified in the mid-1990s but have lingered in a relatively obscure folder in the State Department’s central foreign policy files at the U.S. National Archives. They may never have been displayed in public before as the file appeared to be previously untouched. A few of the British documents have been cited by other historians, including ourselves, but the fascinating story of British-Canadian-United States intelligence cooperation and coordination has also been buried in relative obscurity. The juxtaposition of U.S. and British records makes a fuller account possible, although some elements of the story remain secret, such as the identity of the Canadian intelligence source on the yellowcake purchase. Only Israeli and Argentine documents, however, can provide the full story of the yellowcake sale. This valuable chronology provides a record of the U.S. discovery of the nuclear reactor project at Dimona and the various pledges made by the Israelis, at various levels, in response to requests from the United States,that it was for peaceful uses only. Included in the chronology is an item about a meeting on 25 May 1963 where senior French diplomat Charles Lucet told CIA director John McCone that even though the French had helped build the Dimona reactor, “there might be a nuclear complex not known to the French.” Lucet further stated that the Israelis had tried to purchase “safeguard-free” uranium from Gabon but that the French government stopped the sale through preemptive purchases. Photo: Admiral Oscar A. Quihillalt (b. 1913), chief of the National Atomic Energy Commission, 1955-73, presided over the creation of Argentina’s nuclear establishment. In 1964, he bore the brunt of U.S. State Department inquiries about the yellowcake sale to Israel. 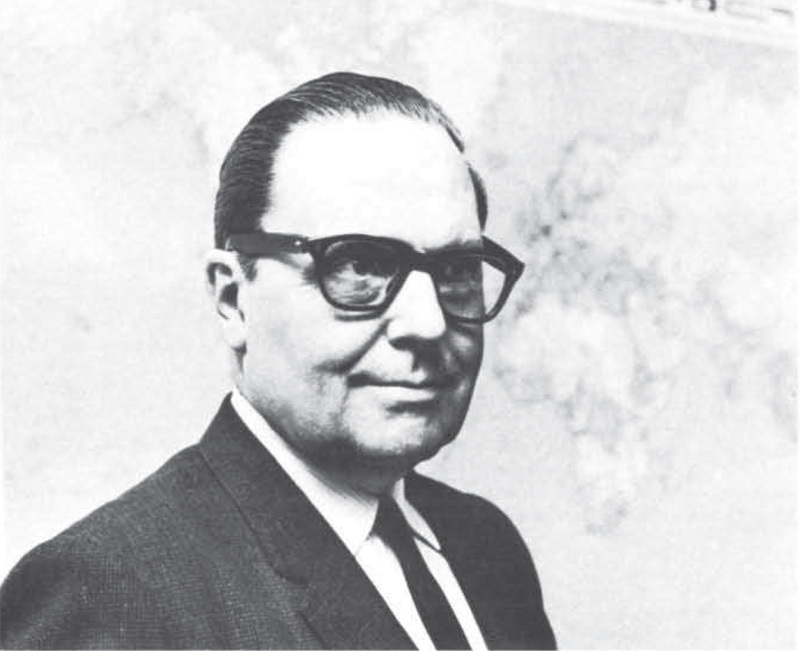 This image shows him in 1967 when he was elected Chairman of the Board of Governors of the international Atomic Energy Agency (Image courtesy of Archives, International Atomic Energy Agency). This telegram, sent through the special “Roger Channel” used for intelligence subjects, refers to an earlier embassy message, number 2319, dated 12 Novembe 1963, which has yet to be found at the U.S. National Archives. That telegram may refer to French actions to halt the supply of uranium to Israel which were alluded to indirectly in this message. Much still needs to be learned about the details, but apparently in the spring of 1963, the French Foreign Ministry cut off the uranium supply to Israel in order to stop the nuclear program. Jacques Martin, a French Foreign Ministry expert on nuclear matters, told U.S. embassy officials that the Israelis, who hadrefused to sign an agreement to purchase uranium exclusively from France, were looking for other sources, most likely Belgium and Argentina. 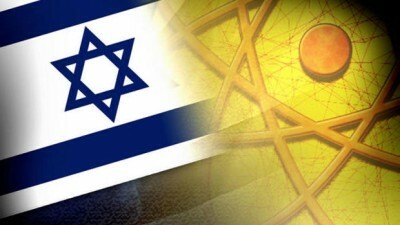 Martin stated that the Dimona reactor could continue operations for only a few weeks without a supply of reactor fuel. It is worth noting that the U .S. government had recently learned that the reactor had just become critical and thus capable of producing plutonium. 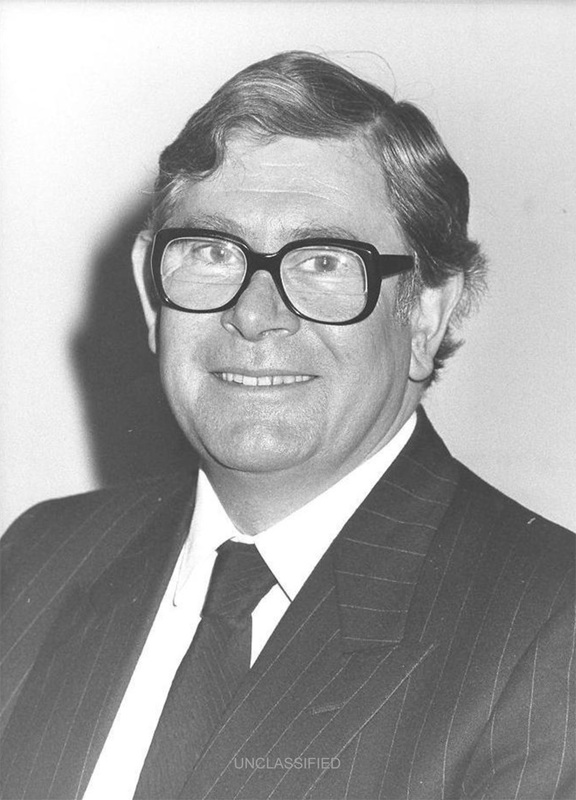 On 11 June 1964, Peter Ramsbotham, chief of the chancery at the British Embassy in France, met with George Soutou, a senior official at the French Foreign Ministry. Soutou was quite frank about French concerns over Israel, acknowledging that the French believed that the Israelis were, at the least, attempting to “put themselves in a position to make a nuclear bomb, if they wanted to.” According to Soutou, the French-Israeli agreement required the latter to return spent fuel to France, which was keeping “meticulous” records of inputs and outputs. The problem was that the agreement was “loosely drafted” and it did not proscribe the Israelis from using non-French uranium for Dimona, although the French believed that such a proscription was in the agreement’s “spirit.”  Therefore, to enforce it, they had already “prevented the sale” of uranium from a former French colony (see Document 1). France would regard any further attempt at uranium purchases a “breach” of the agreement that would lead to the “denial” of further aid. In light of these considerations, Ramsbotham wondered whether the French should be told about the Argentine-Israeli secret deal given their view that any such sale would violate the agreement. Apparently, Ramsbotham quickly passed to the Americans information from his talk with Soutou because that same day the U.S. Embassy in Paris provided some highlights of the meeting: the French by then did not want an Israeli weapons capability, but believed that the Israelis were seeking one. We say “by then” because it is clear that at earlier times, when Shimon Peres had negotiated and signed the original nuclear agreement with France in 1957, his French political counterparts, especially Prime Minister Maurice Bourgès-Maunoury, understood the nuclear deal as French assistance for Israel to create its own military deterrent regardless of the formal language, e.g., “peaceful use” reference, in the formal agreements aimed at providing France with political deniability. The uranium that France had supplied, under “loosely worded” safeguards, was formally agreed to be used for peaceful uses. The French had promised to terminate the agreement if they determined that Israel was circumventing it by finding a significant non-French source of supply. That Argentina had yellowcake to sell to Israel in the first place was the result of a nationalistic nuclear energy policy pursued by Admiral Oscar A. Quihillalt, the director of the National Atomic Energy Commission and an important player in the International Atomic Energy Agency. In 1956 Quihillalt signed a decree turning Argentina’s significant uranium resources into public property with the Commission controlling prospecting, production, and marketing. By the early 1960s, with the assistance of the U.S. Atoms for Peace program, Argentina had two research reactors, and plans for a power reactor. In that context, a yellowcake production capability would be essential to accomplish future plans for reactors. 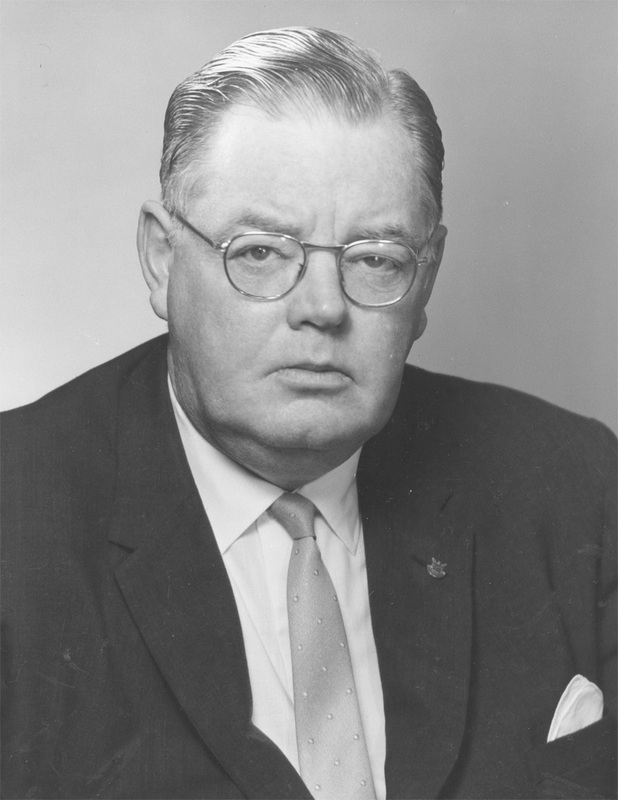 Photo: Walworth Barbour (1908-82) was ambassador to Israel during 1961-73. He presided over the vain effort by U.S. diplomats and CIA officers to learn what Israel had done with the yellowcake. (Image from Still Pictures Branch, National Archives, RG 59-SO). In this inquiry about West German purchases of unsafeguarded uranium from Argentina and a possible re-export to Israel, McLaren confirmed that the information about the Argentine-Israeli deal had been “passed to the Americans,” with Canada’s permission. Moreover, the U.S. State Department was also to be informed by Patrick Wright, with the British Embassy in Washington. The subject and the degree of Israeli-West German nuclear cooperation has been for years a matter of speculation, but firm factual knowledge about it is unavailable. Noting some inaccuracy in the Canadian report–Argentina could not have offered to sell its “entire production” of uranium if it was also selling concentrate to Germany and trying to sell it to Japan—Goodison asked Audland to “keep your ears to the ground” to find the “exact quantities” involved. While the British learned about 25 June that U.S. intelligence had information confirming the Canadian report, it must have been a shaky source. According to this letter from an official at the recently created Defense Intelligence Staff,  a skeptical reaction from Washington about the intelligence on the Argentine-Israeli sale led the Canadians-“our previous informants”-to “take a second look at the sources of the report.” Canadian intelligence was “now very doubtful about [its] reliability.” In handwriting, Arkell observed that this development “disposes” of the proposal to use the information to encourage the French to break off a supply relationship with the Israeli nuclear project. Kellas in Tel Aviv was curious but somewhat skeptical of the claim in Goodison’s 29 April letter that the Israelis might have “facilities for plutonium separation.” The Embassy had “not seen such evidence and should be grateful to know what it is.” Whether Goodison wrote back about the evidence that he had mentioned in his 29 April letter is not clear. The existence of a plutonium separation facility was probably the crown jewel among Israel’s nuclear secrets, one that the U.S. inspectors did not uncover during all of their visits to Dimona through 1969. With the doubts about the Canadian report, the U.S. government decided to look into it. This joint CIA-State Department message reported “unconfirmed” intelligence of an Argentina-Israel deal struck on 3 November 1963. According to the reports, Argentina would sell the entirety of its uranium concentrate supply to Israel for three years without safeguards. The Department of State instructed the embassies to mount an intelligence collection effort to provide, by 1 September, specifics on the arrangement: the amount to be sold, cost, schedule, and any safeguards attached. Unlike the British communications, which were signed by individual officials, the U.S. documents published here were organizational products, generally signed by ambassadors or the secretary of state. Prepared in a variety of offices at the State Department, some were drafted by officials from more than one government agency. Goodison reported that U.S. officials have had a “skeptical reaction” to the Canadian report because they had no information about an Argentine-Israeli deal and the Argentines had not reported exports to Israel in their Official Bulletin. If correctly reported, this was a surprisingly narrow and naive response. The Defense Intelligence Staff had no information to support the Canadian report, although the Israelis may have had “exploratory conversations” on a uranium deal with Argentina. Moreover, “little evidence” supported the argument that the Israelis had a chemical separation plant at Dimona. As the world learned from whistle blower Mordechai Vanunu in 1986, a building near the reactor designated by the Israelis as a “laundry” masked an underground separation facility with six separate floors. This was part of the original French plan. It appears that none of the seven or so U.S. inspection teams that visited Dimona in the period 1961-69 had ever positively detected that underground facility It is still a puzzle whether and when U.S. intelligence, especially the CIA, became aware of the reprocessing facility and, if it did, whether any information was shared with the AEC-led inspection teams. John Hadden, the CIA station chief, was instructed not to have any contact with, let alone brief, the inspection teams. Whether the U.S. Embassy in Israel replied in time to meet the 1 September deadline assigned by the State Department in its 15 July directive is not clear (perhaps it was sent through CIA channels). Just past the deadline, however, the U.S. Embassy in Buenos Aires produced an “interim report” confirming the sale of Argentine uranium to Israel. The Argentines had authorized a total of 100 tons of “yellow cake,” at a minimum price of $15/kilogram, for sale to Israel. Sale contracts were permitted over a three-year period, beginning 1 January 1963 and shipments could be extended nine months from the end of that period. Proceeds of sales were to be used to purchase machinery and equipment for use in the atomic sector. According to a government decree, the uranium was to be used solely for the peaceful use of nuclear energy. With the State Department receiving confirmation of the sale, U.S. intelligence was no longer skeptical about the Canadian report. According to a U.S. report which was made available to British intelligence, which in turn disseminated it to the Foreign Office, “an agreement was concluded between Argentina and Israel for the sale of at least 80 tons of U3O8.” Moreover, “recent … uranium exports had gone only to Israel.” The amount involved “is far in excess of that needed … to operate the Dimona reactor only for research purposes.” The Cordoba plant is “reported to be producing concentrate at the current rate of about 60 tons per year” and by 1966 Argentina should have no trouble “meeting contracts up to 100 tons of yellowcake.” Arkell agreed with the assessments but wanted to know how much uranium had actually been shipped. Responding to the Embassy’s report, the State Department asked it to obtain as much information as possible on the end-use of uranium sold to Israel, and in particular on the issue of safeguards. If Argentina was not requiring safeguards on uranium exports, the Department instructed the Embassy to approach Argentine officials as soon as possible and present them with an aide-memoire discussing the importance of safeguards. The results of the approach should be reported to a Working Group to Review the IAEA Safeguards System. Working within the IAEA, the U.S. government had been trying to establish a “common front” in support of the application of safeguards on the “transfer of significant quantities of nuclear materials.”  Therefore, the Department asked the Embassy to convey to the Argentines that a sale made without safeguards “would represent a most serious breach in the efforts the U.S. and other western suppliers have made over the last ten years” to assure that “atomic assistance” is “appropriately safeguarded.” Also sent was an explanation of the technical basis for IAEA safeguards on natural uranium. During a meeting with Foreign Office officials, a U.S. embassy officer left a copy of the aide-memoire and the note on safeguards. Emphasizing that the U.S. did not object to the sale as such and was not suggesting that Israel intended to use uranium for non-peaceful purposes, the officer stated that the U.S. sought cooperation because of the principle that significant nuclear assistance should only be provided in accordance with appropriate safeguards. The Argentine diplomat refrained from comment because it was necessary to discuss the matter with the Argentine Atomic Energy Commission. During a discussion with Admiral Quihillalt and CNEA, Embassy officials provided the aide-memoire and the paper on IAEA safeguards. The Admiral was more receptive to the U.S. position than previously (he would later urge Argentina’s adherence to the NPT) and was glad to know that Washington was not in touch with the Israelis about the sale. Expressing concern over the lack of a response to U.S. questions on the reported uranium sale to Israel, the Department asked the Embassy to relay concern to the Foreign Office. The State Department, ACDA, and the AEC were considering more “representations” to Argentina and possibly to Israel if the Argentines did not respond. If possible, Embassy should indicate U.S. government “apprehension” over nuclear proliferation and sales of unsafeguarded uranium. The Embassy had delivered a note urging a quick response to the U.S. aide-memoire on safeguards; while the Argentines had not replied, the Foreign Office appeared to support safeguards, because of the proliferation risk and also domestic political interests. Moreover, requiring safeguards would establish that Argentina was a seller of nuclear materials for peaceful uses only. Even if the Foreign Office view did not reflect overall government thinking, the Embassy believed that an internal Argentina dialogue should take place before Washington made further representations. The sale was not yet public knowledge in Argentina. Months later, the State Department asked the Embassy to remind the Argentine government that it was awaiting a response to the U.S. aide-memoire on the uranium sale to Israel. The Department also asked the Embassy to review the “full extent” of Argentine exports of uranium so that the U.S. government had the opportunity to discuss any future transactions in advance. This cable reports on a conversation between a British Embassy officer and one or two State Department officials. The Embassy officer reported that Israel’s purchases of uranium added up to 190 tons—more than what was needed for research. They recalled statements by Israeli Prime Minister Eshkol that Israel would not be the first country to introduce an atomic weapon to the Near East, but that it must retain the capability. The Embassy officer proposed a joint U.S.-British approach to Argentina on safeguards; the State Department official replied that such approaches had not been successful but he would be in touch with the British on this problem. A request by an Argentine Congressman gave the yellowcake sale to Israel a public airing, but the publicity did not get reported internationally. The Congressman asked the government questions, including how much uranium had been exported and whether Argentina had sold uranium to other countries. The Embassy planned to watch the results of the inquiry closely to get details on the specifics of the deal. Unlike a U.S.-Argentina controversy in 1963 over oil company contracts, which became highly public on both sides, the yellow-cake transaction was unreported abroad. Responding to questions in the Department’s August 1965 airgram, AEC representative Lester Rogers reported that the Embassy had no new information. As reported previously, language about safeguards in Argentina’s uranium sales agreements with Israel was very general. A table included data on annual production of uranium during 1958-1965, including dry tons of ore (U3O8/triuranium octoxide). Also provided was information on production capacities of the uranium processing plants at Cordoba and Malargue. A new facility planned for Cordoba would produce nuclear grade UO 2, used for reactor fuel rods, at 100 tons annually. The Embassy did not believe it was advisable to inform the Argentine government of U.S. plans to ask the Israeli government about the location of the uranium. Ambassador Barbour spoke with Foreign Minister Abba Eban along the lines of Department telegram 1052 [Document 36] and further asked about the location of the Argentine uranium concentrates. Eban remained noncommital and merely said he would inquire further among those who know (leaving the impression that as Israel’s foreign minister he knew little about atomic matters). This telegram is a bit cryptic because it refers to some unknown “attitude” issue on the part of Dimona director Yossef Tulipman and other managers [“technicians”] during the most recent Dimona visit by U.S. scientists. One may speculate that the attitude problem emerged when the Dimona managers were asked about the yellow cake and apparently refused to shed light on the matter. According to Israeli Foreign Ministry official Moshe Bitan, who served as a liaison with the American scientists, it was possible that the “technicians” were “unaware” of “such arrangements” because the information was for “higher officials” only. That Tulipman would not have full knowledge about an important supply of uranium to Israel is unlikely but Bitan had no incentive to clarify the situation to U.S. diplomats. Barbour further advised Eban that he would revisit safeguards in the future. While the State Department was making inquiries about the Argentine sale, it also pursued recent intelligence that the Compagnie des Mines d’Uranium de Franceville, the French mining company operating in Gabon, had requested permission to ship uranium ore to Israel. The source of the intelligence was not mentioned; it is not known, for example, whether the Israelis had approached company managers or officials in the Gabonese government. But knowing that a similar incident had occurred in 1963 (see Document 1), the Department wanted to explore the issue and asked the Embassy for comment and related information. Belatedly responding to the Department’s query, the Embassy observed that uranium was a “most sensitive” matter in Gabon. Besides President Léon M’ba, only the Minister of the National Economy and Mines and his predecessor would know of any diversion and no information had come from those sources.Officials with the Compagnie de Franceville and French mining advisors, normally cooperative and helpful, were “evasive” and sometimes “hostile” when asked about uranium shipments to Israel. One official cited the difference in French and American nuclear policies, saying that no French official would divulge the information that the State Department sought. More information could come by formally raising the issue with the President of Gabon or the Foreign Minister. Commenting on the Embassy’s report, the U.S. Embassy in France observed that the French controlled production and export of Gabonese uranium, with about 440 tons of uranium metal produced annually. Therefore, any diversions would occur under French and not Gabonese authority. The Embassy deferred to its U.S. counterparts in Gabon on Gabonese ability to secretly divert uranium ore without French permission. That, however, was “unlikely” in view of France’s success in 1963 to thwart a diversion. For background on Israeli nuclear history, see Avner Cohen, Israel and the Bomb (New York, 1998) andThe Worst-Kept Secret: Israel’s Bargain with the Bomb (New York, 2010). See also the documents in the “Israel and the Bomb” collection on the National Security Archive site. U.S. documents on the Israel-South African yellowcake connection have yet to surface, but Sasha Polakow-Suransky’s important book , The Unspoken Alliance: Israel’s Secret Relationship with Apartheid South Africa (New York, 2010) is invaluable on this and other matters; see 42-43. For a full account of the Vanunu revelations, see Frank Barnaby, The Invisible Bomb: The Nuclear Arms Race in the Middle East (London, 1989). Emanuel Adler, The Power of Ideology: The Quest for Technological Autonomy in Argentina and Brazil(Berkeley, 1987), 290-291. Typically, the Argentine military ran nationally-important industrial research and development organizations. See also Jacques E. C. Hymans, The Psychology of Nuclear Proliferation: Identity, Emotions, and Foreign Policy (New York, 2006), 144. Audland wrote an interesting memoir, including a chapter on his diplomatic experience in Argentina, but it did not touch on the yellowcake episode. See Christopher Audland, Right Place – Right Time (Stanhope, 2004), 140-68. Dustin Walcher, “Petroleum Pitfalls: The United States, Argentine Nationalism, and the 1963 Oil Crisis,”Diplomatic History 27 (2013): 24-57.